When you practice yoga poses, do you hate the discomfort of pressing your body against a cold, hard floor? Do you want to be able to perform the same, full range of positions at home as you can in a yoga studio? Using the best Yoga bolsters, you can get the firm support you need and stay comfortable. The following buyers guide for yoga bolsters will walk you through their uses, the types available and the benefits of using yoga bolsters. When you begin the search for your ideal yoga prop, you will discover an overwhelming list of makes and models. Deciding which is right for you may appear confusing at first when there are so many products on the market, but our guide will help you find your perfect bolster. For more of my recommendations, have a look through these popular Women’s Workout guide links: Yoga DVDs, Yoga Mats, Yoga Pants and Yoga Towels. Here is a feature overview of my top rated Yoga bolsters with full reviews and our buying guide below. Hugger Mugger is one of the leading brands in yoga accessories. 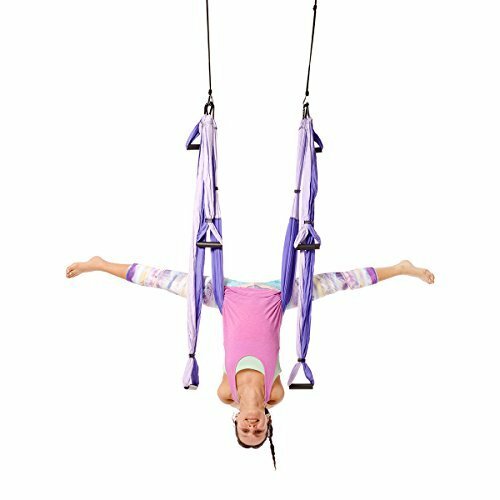 It is also one of the longest established companies in the yoga props business, founded in Salt Lake City in 1986. The company’s stated goal is to manufacture high-quality and innovative products specifically designed for yogi to use. 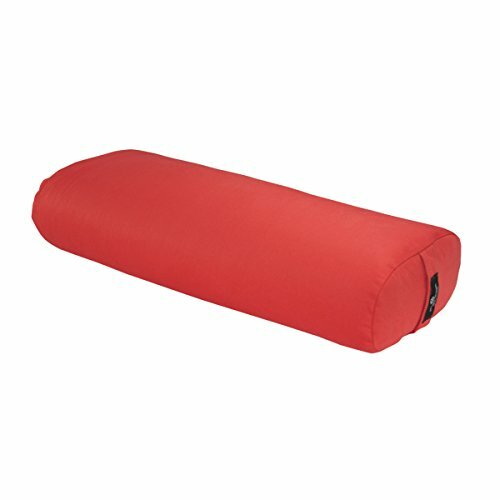 This popular and well-made yoga bolster is an ideal prop for sitting poses, Supta Virasana and Virasana. Its generous size allows for great stretching. Although it is firm, it has enough give to offer comfort and support. Many yoga instructors recommend this bolster, and you will find it in many yoga studios. When washing the removable cover, ensure that you only use cold water and air dry to avoid shrinking. In my opinion the Hugger Mugger is the best Yoga bolster. YogaAccessories is a well-established company that has been selling bolsters for yoga since 1997. If you’re looking for a high-quality and hard-wearing bolster similar to those used in your local yoga studio, this rectangular cotton yoga bolster is YogaAccessories’ best seller. 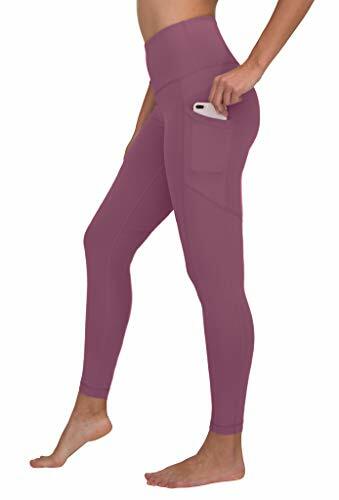 It is available in a broad range of bright colors and designed to be the perfect size and shape for most yoga practitioners. If you straddle this bolster while meditating, it will help you to keep your back straight and keep your mind present. It is perfect for prenatal and restorative yoga and can also be used as a sleep aid for spinal and leg support. The fabric is soft and supple, yet the bolster itself is densely packed with evenly distributed cotton batting and so firm in order to provide optimal support. Being able to remove and machine wash the cover is a great convenience for hygiene. With the extra support and comfort it provides, this is the best yoga bolster for pregnancy. Founded in Chicago in 1987, Bean Products, Inc. aims to use only sustainable resources to handcraft really comfortable products in the USA. They believe that yogi should not only be concerned with improving their own health, but also in improving the health of the planet. All the yoga bolster pillows in this range are designed to provide extra firm support. The style of bolster you choose depends on what you want to use it for. The cylindrical yoga bolster is designed to be placed under the back for a gentler supported forward bend or a deeper supported chest opener. It is also suitable to place under your knees for optimal support and release for your lower back when performing shavasana. The oblong bolster is designed to provide an effective lift under your hips and lower back for Viparita Karani (legs up the wall pose). Both bolsters are also ideal for seated poses used as a zafu. A huge feature of Bean Products, Inc. products is that every item is hand made to your specifications. You tell them exactly what you want in your bolster, and they will produce that. There’s a huge variety of covers for you to choose from, so you are bound to find something that’s just perfect for you. Of course, whatever choices you make, with this company you know you’re not harming our beautiful planet. The Bean Products is one of my top picks for the best bolster pillow. 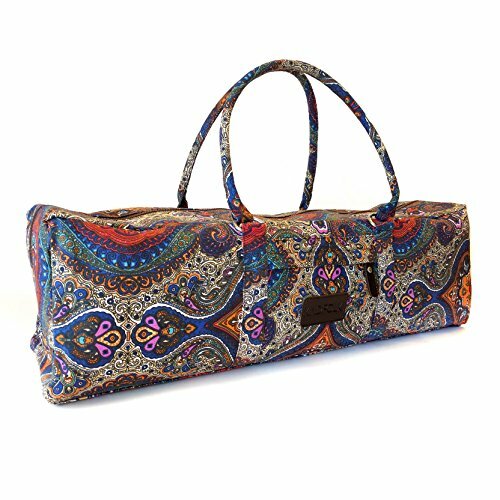 The Peace Yoga range of yoga products are extremely popular among yogi. With their buckwheat hulls filling, Peace Yoga bolsters are designed to provide the optimum balance between pliability and rigidity. Some yogi will only use bolsters with buckwheat filling. This yoga pillow also helps to properly align and support your spine during sitting poses for deeper meditation. In fact, people with back problems often use this product every day as a stool around the house. To avoid shrinking the removable cover, only use a gentle wash cycle and hang dry it. The Peace Yoga is probably the best round yoga bolster you can buy. 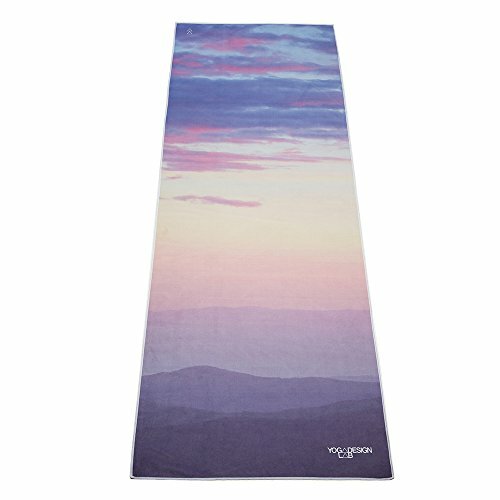 YogaAccessories is a well-established company that has been selling yoga supplies on the internet since 1997. Their goal is to supply the broadest selection of high quality yoga related products at the most competitive prices. 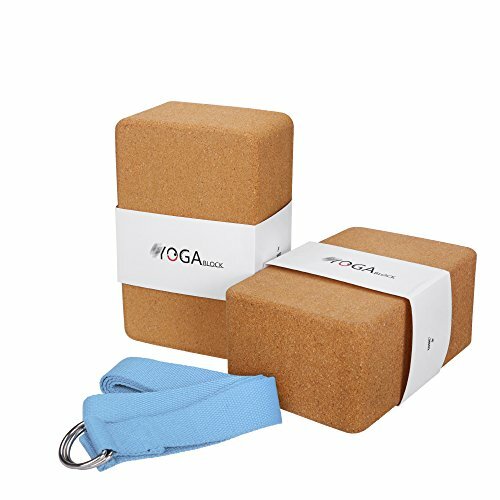 You may already have discovered that YogaAccessories products are used as props in your local yoga studio, and many experienced yoga instructors recommend YogaAccessories’ products. These cylindrical cotton bolsters are affordable, well made and solid. You’ll find them to be larger than the average yoga bolsters. Although they are soft enough to afford comfort, they are also firm enough to provide the support you need, especially when performing restorative poses and prenatal yoga. They may also be used for spinal or leg support as a sleep aid. When washing the removable cover, ensure that you use cold water and then air dry it in order to avoid any shrinking. The large size of this bolster means that it may be too tall for some people to perform the poses they wish to achieve. Note that when it first arrives, it may have a chemical smell derived from the plastic packaging. This dissipates usually within 24 hours. Another inexpensive but well-made yoga bolster supplied by Yoga Accessories. This Yoga Accessories bolster is especially designed to be a pranayama bolster. This budget priced bolster is smaller than the average yoga bolster because it is designed specifically as a pranayama bolster, ie. it provides support along the length of the spine to facilitate deep breathing during yoga poses. It is great for spine poses and stretches. Alternatively, it can be used under the knees when performing the shavasana pose for greater relaxation. The bolster is well constructed, with strong seams, and the zippers effectively concealed to avoid scratching during use. The cotton filling provides firm support. Pet hairs do stick to the soft fabric of the cover, but can be easily removed by vacuuming. Gaiam is another company focused on sustainability. Its name is, in fact, a contraction of “Gaia I am”, Gaia being the Ancient Greek name for Mother Earth as well as sometimes being used as an alternative name for the Earth. The founders of the company wanted to remind their customers that we are all interlinked — all part of the ecosystem of this tiny blue planet. They aim to design and manufacture products for customers who are concerned with Conscious Commerce, ie. That purchasing decisions should be grounded in personal beliefs and values, taking into account not only the quality of the product but also the impact of that product’s manufacture upon the Earth. This bolster is designed to give you comfortable yet firm support during yoga meditation or relaxation. It’s machine-washable cover is made of especially soft fabric and filled with natural cotton batting. This bolster does not keep its shape quite so well as some of the other bolsters featured, but its fabric is beautiful and soft. Some yogi have reported that it is less firm than the other bolsters they have tried, but still super comfortable. However, there are a range of bolsters to suit a range of different people, and some yogi think this is a little too firm. For the price, this is a very high quality product and really suitable for home use. Also, when you buy a Gaiam product, you know you’re not only improving your health, you’re also helping the planet. Most bolsters may be used to sit upon while meditating, but each type has more specific uses depending upon its shape and size. Their main functions are to facilitate relaxation, soften postures, and to aid in opening the body. They are commonly used for restorative, prenatal, and lyengar yoga. Here are seven specific postures where a bolster may be used to enhance your experience during yoga. At the beginning of your yoga session, or just before shavasana, this is a bolster that ensures that the head, neck, and back are supported while the shoulders, chest and abdomen open and relaxed. This creates space in the lower back region and eases compression. To achieve this pose from a seated position (legs either crossed or straight out) place the bolster flat behind yourself with the narrow end touching your lower back. Then slowly lie back over the bolster. Allow your arms to dangle out to either side, palms facing upward. Once in place, breathe, relax, and hold the position for 3 to 5 minutes. Its name implies that this pose is easy, but because in the western world we rarely sit cross-legged upon the floor, this is not a posture we are accustomed to. It is a pose frequently adopted during yoga classes, and can grow tiring to maintain for a long period of time. Your bolster can help. Sit atop your bolster with your ankles crossed. Lower your knees down in front so that they touch the floor while your rear remains on the bolster. Roll your shoulders and hold your hands in a comfortable position. Breathe. This is a great method to stretch your muscles. From a seated position, stretch your legs out in front of you. Place the bolster on your legs. Inhale as you lift your arms overhead, then exhale as you lay your chest down forward across the bolster. Breathe and relax. This pose is a little more advanced and requires a level of flexibility. From a seated position with your legs stretched out in front, move your legs as far apart from each other as you feel comfortable doing. Place the bolster right in front of your pelvis. Inhale as you stretch your torso upward, then exhale and fold your torso over the bolster. Breathe and relax. Take caution with this pose. Unsupported, it can cause lower back pain. It is an intermediate to advanced posture. Place your bolster against the wall. Kneel, facing the wall, with your thighs pressed against the bolster for support. Reach your chest toward the ceiling, but continue to press your thighs into the bolster, keeping contact at all times. Slowly, and only if you feel comfortable, relax your head backward and breathe deep. Raja Kapotsana is an advanced pose that opens the chest and strengthens both the back and groin. The supported version using a bolster is a step toward the unsupported posture. Place your bolster against a wall. From a prone position, bend your legs up against the bolster. Next, slide one leg forward with the knee bent so that the shin crosses under the chest. At the end of your session, you want to achieve complete relaxation of body and mind, to find calmness, and that’s why the shavasana pose is important. Shavasana literally means “corpse pose” in Sanskrit because you lay on your back like in death. However, lying on a hard, flat surface can be uncomfortable, preventing you from achieving the necessary stillness and peace. A bolster placed directly under your knees allows your legs to float free. Once the bolster is in place, take a really deep breath, then exhale, letting all the stress drift away. Then allow all your muscles to relax, as if they’re melting down into the floor. Video: How to use a Yoga bolster. Standard — rectangular in shape and the most common kind of bolster used in restorative yoga. They are very versatile and offer support and stability for a wide variety of poses. Round — cylindrical in shape and perfect for sliding under your knees when performing the shavasana pose. They also provide great support for a variety of restorative poses. Zafu — a low disk shape like a stool. This is a traditional meditation cushion. Pranayama — cylindrical but much thinner than a round bolster. As implied by its name, this bolster is used for Pranayamic breathing exercises. This bolster may be used to improve your breathing while performing yoga. When placed under the length of your spine, it facilitates expansion of your chest and rib cage for deep, long breaths. These are not so versatile as other bolsters and are not suitable for poses where you require a lot of support. There are other shapes, but these four are the most common ones you will come across in yoga studios or for sale for use at home. Many of these benefits have already been mentioned in the above explanation of the poses, but yoga bolsters provide many other benefits above and beyond those. Support — without bolsters, you would have to provide all your own support using your body OR help from a partner. Yoga bolsters allow you to set limits to how far you stretch and add support where otherwise there would be none. In this way they can make more strenuous or advanced poses safer than if no such prop were used. Enhanced comfort — lying, kneeling or sitting on a yoga bolster is much more comfortable than a bare floor or even just a yoga mat. Posture — use of bolsters when performing certain poses encourages correct posture and so increases the benefit gained from practicing that position. Greater relaxation — when used to improve breathing, such as placing a pranayama bolster under the length of your spine while performing shavasana, then better relaxation can be achieved, which is great for stress relief. Reduction in swelling or inflammation — sitting, kneeling or lying in one position for a long time can sometimes have adverse effects, but bolsters help prevent this. Shape — as mentioned before, bolsters come in different shapes and sizes, all with different purposes OR for different sizes of yogi. Ensure that you choose the right type of yoga bolster for the poses you want to practice. Fabric — there are many different kinds of fabric used for yoga bolster covers ranging from polyester to 100 % cotton. Factors to consider here include how easy the cover is to wash, how soft it is during use, its color and pattern for aesthetic purposes, and how durable the material is. Ideally it will be soft enough that you feel comfortable, durable enough to last years of daily use, but easy to clean without shrinking. Filling — just like the cover, the inside of your bolster can be made from many different materials from buckwheat husks to synthetic fibers. The filling is especially important because it will determine how firm the bolster is and also whether it will be able to maintain its shape. Yogis’ tastes vary as to how firm they want their bolster to be. Those with allergies must ensure that both the cover and filling of their bolster do not contain allergens that may be harmful to them. 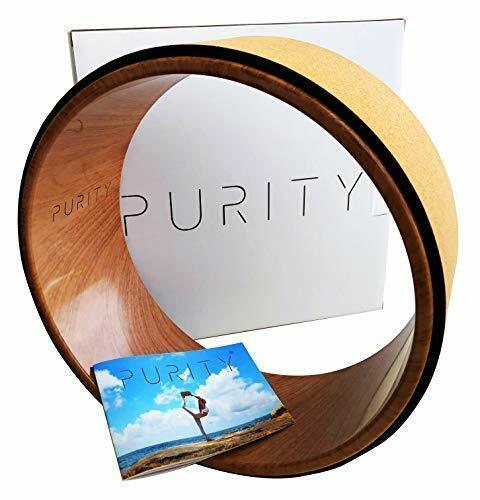 Ecology — many yogi have philosophical beliefs that lead them towards a preference for materials sourced from renewable resources with a low carbon footprint. If you care deeply about our planet, you will want to ensure that the bolster you buy is manufactured by a company that has given consideration to the ecological impact of their products. 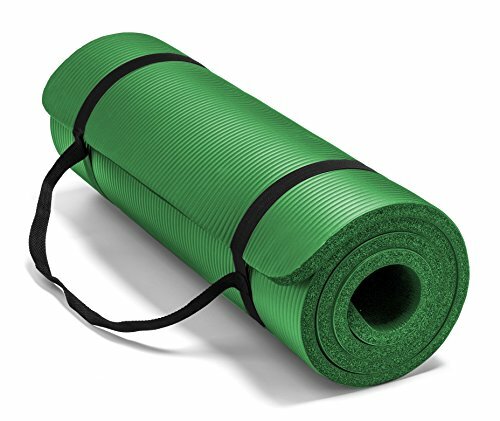 Now that you have perused seven reviews of great yoga bolsters, you should have a good idea of what kinds of bolsters are available on the market today. Hopefully you have also gained an idea of what kind of bolster would be best for your purposes. Perhaps you can make a list of the features that you believe are most important in a yoga bolster, then go back over the above reviews and see which product best matches your needs. Now that you know how to choose a yoga bolster, what’s stopping you? Buy your ideal bolster, get stretching and posing, and improve your health today! I hope this guide was helpful for finding the best Yoga bolster to fit your needs. If you want to comment or recommend a bolster I didn’t include, please use my contact form to get in touch. We found the Hugger Mugger Standard Choice Yoga Bolster to provide the best overall performance and support at an inexpensive price.